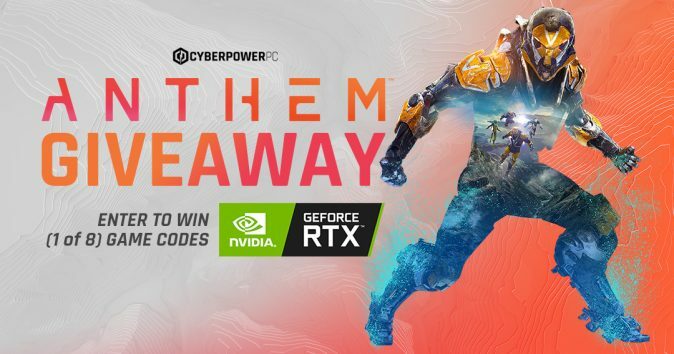 CyberPowerPC has teamed up with Nvidia to gift some of their fans with Anthem game codes! To enter in this Anthem Game Codes Giveaway grab your free entries by following few simple steps listed down below! Unleash Your Power. In a world left unfinished by the gods, a shadowy faction threatens all humankind. Only you stand between the Dominion and the ancient power they covet. Team up as heroes in this cooperative action-RPG from BioWare and EA.